Going up against a pair of fellow Class 4A opponents in their first road action of the season Friday and Saturday, the Runnin’ ‘Dog basketball team was obviously aiming for a sweep. Unfortunately, they fell just short, following a rout of Valencia Friday in Los Lunas, 71-57, with a fourth-quarter loss to Del Norte Saturday afternoon in Albuquerque, 62-59. The latter was a hard pill to swallow, as the boys in orange led the Knights through the majority of the outing before turnovers and missed baskets gave Del Norte the opening they’d been seeking. But it was also a lesson learned. 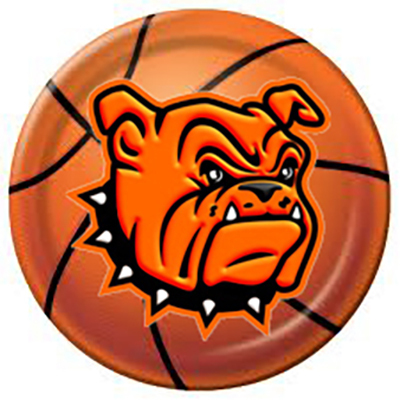 Artesia took control of the contest early Saturday, opening with a three-pointer from senior Cody Smith, which – followed by a pair from the free-throw line by Anthony Armendariz and a bucket each by Smith, Jacob Creighton and Clay Houghtaling – helped see the ‘Dogs to an 11-3 edge by the halfway point. The Knights were able to mount a slight rally in the final three minutes, however, outscoring the ‘Dogs 9-5 to trail by four, 16-12, going into the second. That period would be a low-scoring one for both teams, but on the legs of a 10-4 start, Artesia was able to bump their lead into double digits, 26-16, around the three-minute mark. Again Del Norte would surge late, however, and the boys in orange headed in at the break with a six-point edge, 28-22. The Bulldogs got the offensive quarter they’d been waiting for in the third, posting 20, led by eight from Smith. Unfortunately, the Knights did them four better. A few ticky-tack fouls muddled the final moments of the quarter and spotted Del Norte a few from the stripe, allowing them to trim Artesia’s lead to two, 48-46, going into the fourth. The ‘Dogs needed to maintain their effort from the field, but they struggled in the opening minutes of the final quarter with both turnovers and accuracy. An old-fashioned three-point play and a jumper by Houghtaling, along with a Smith longball, kept Artesia in front as the game fell under three minutes, 56-53, but from there, the wheels began to come off. Del Norte posted eight unanswered points – half of those from the line – in the final seconds, and although Smith added a clutch trey to end the ‘Dogs’ drought, it could only bring Artesia back within two with one second left on the clock. The boys in orange tried everything available to them to get the ball back for a final attempt, and Del Norte went 1-4 at the line amidst it, but a desperation tying shot wasn’t in the cards. “We had the lead for most of the game, we just didn’t make enough plays and execute well enough down the stretch,” Mondragon said. “We had too many silly mistakes here and there, but all those are things that can be corrected. Smith finished with 24 points for Artesia on the afternoon, followed by Houghtaling with 11. Artesia was 10 of 16 from the foul line on the game to Del Norte’s 27 of 39. The ‘Dogs had a better showing Friday at Valencia, turning what was a close contest at the half, 32-26, into a 14-points victory, 71-57. Overall, Mondragon says he’s pleased with the progress he’s seen from his team in just the short amount of time since their debut Dec. 6 at the City of Champions Classic. “We’re improving,” said the coach. “I think we’re learning our lineups, we’re learning our rotation, our guys are learning each other. We definitely have a lot of work to do. We’ve got to get better defensively and make sure we quit fouling. That’s our Achilles heel right now. We’re putting teams on the line way too much, but that being said, we’ve got to get more aggressive in the right ways. Artesia (4-2) will now have four days to prepare for their final pre-Christmas bout of the season against Hobbs at 7 p.m. Friday in Eagle Country. “We know what Hobbs is going to do,” said Mondragon. “They’re going to want to pressure us, and we’re going to pressure back. That’s what we play now – Bulldog basketball. We have to make sure we’re executing our press breaks, taking care of the ball, and we can’t foul. We have to move our feet, and that’s what we’re going to be working on this week – not playing defense with our hands, playing it with our feet.